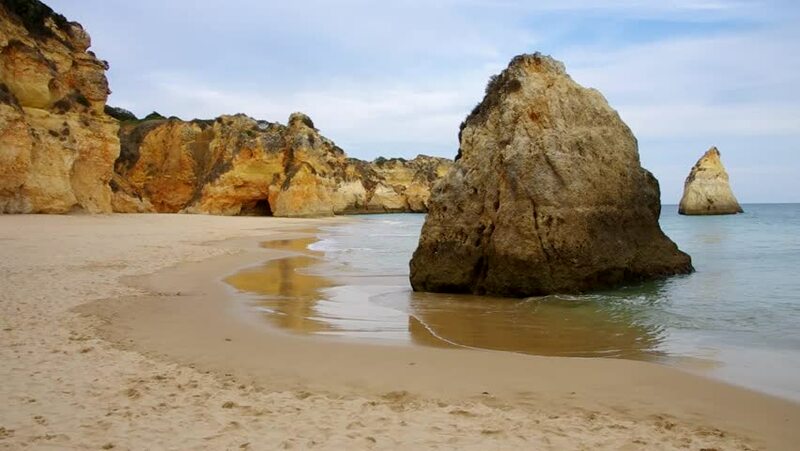 hd00:10Waves Crashing on Pinhao Beach Shore in Lagos, Algarve Coast, South Portugal. Sandy Beach Shore, Scenic Cliff Rocks on Sunny Summer Day Landscape. Outdoor View of Popular European Travel Destination. 4k00:09Cinematic Algarve Aerial. Alvor, Praia Tres Irmaos Beach, Portugal 4K. Calming Waves Splash On Cliff Rocks. 4k00:19Drone footage flying over houseboat and jet skis anchored in remote bay deep into Lake Powell.